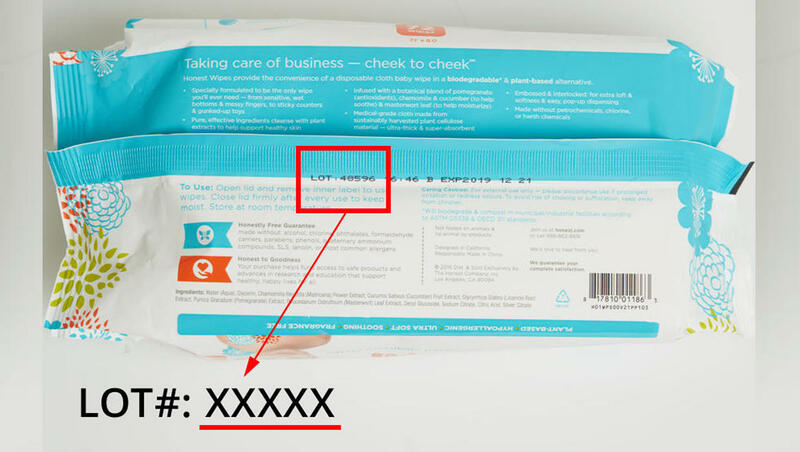 The Honest Company is recalling certain lots of their baby wipes because of a possible mold contamination problem, CBS Miami reports. In a video on their website, company co-founder Christoper Gavigan explained the problem. "Recently it came to our attention during routine quality testing that certain lots of our wipes were not meeting out high standards," said Gavigan. "A recent quality audit concluded that there is the potential for the presence of mold in certain lots of our wipes resulting in staining. The aesthetics are unacceptable and we believe any of the affected products are not likely to cause adverse health consequences." The company set up an online tool to help customers figure out if their wipes were part of the recall. Those who bought the affected wipes may return them to the store where they bought them for a full refund. No other products of The Honest Company are impacted by this recall. The company, co-founded by actress Jessica Alba, sells a variety of personal care products including soap, lotions, diapers, and cleaning products that it says are free of "harsh chemicals." Consumers with questions can call the company, Monday through Friday from 5 a.m. to 5 p.m. Pacific time, at 888-862-8818.